Perfect for small / medium offices who need high quality, reliable Internet connectivity. Link Communications Systems (LCS) business VSAT services delivers full and unlimited Internet access over satellite connection to any place in the world. 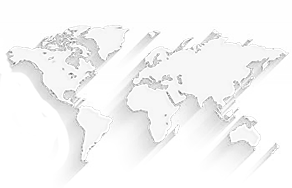 LCS's business VSAT services support data, voice, and video applications. They are ideal for remote offices, small and medium companies, Internet café businesses, NGOs, hotels, distance learning, disaster recovery, and more. This modern satellite Internet access is designed is to keep you connected to the Internet backbone through LCS teleports. No matter where you are or what your existing network, LCS will provide you with a fast, reliable and economical broadband Internet connection. 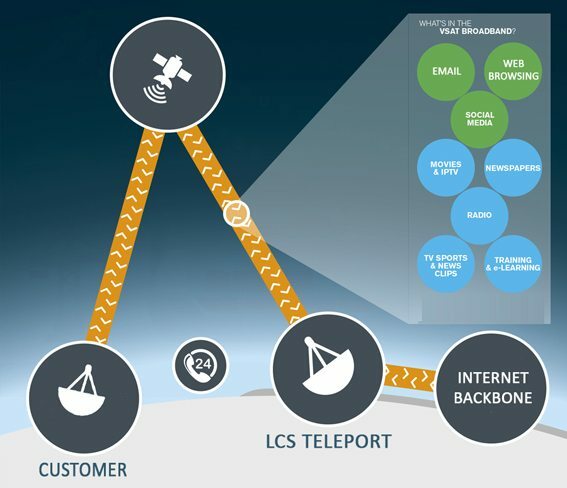 LCS's Business VSAT Service is a satellite Internet service based on iDirect technology with sharing ratios of 10:1 or 5:1 or 1:1 ratio, with UNLIMITED traffic on download/upload, on a fixed monthly fee. We provide you with the full hardware kit (KU or C band), and the satellite service plan of your choice. If you have your own hardware, we can provide you the service as well. LCS's Business VSAT Service can provide you with satellite Internet speeds of between 256kbps to 3Mbps download / 128kbps to 1Mbps upload, with sharing ratios of 10:1 or5:1 or 1:1. (If you require specialised or customized solutions then please see our Enterprise VSAT Services). Link Communications Systems (LCS) business VSAT services works through a small VSAT terminal consisting of a 1.2m or 1.8m satellite dish (KU band or C band), a PLL LNB to receive signals, a 3W KU Band or 5W C Band BUC to transmit signals, and an iDirect Evoutlion X1 or X5 or X7 modem that serves as a satellite router. Through this simple setup, you will be able to connect to a geosynchronous satellite and on to the Teleport for connection to Tier-1 Internet Backbone to provide you with a business VSAT service.